Liberty was originally opened in 1875 as a bazaar for exotic Eastern homewares and fashion with a mission to create new styles, as opposed to simply selling the current ones. So popular was the shop that founder, Arthur Liberty, bought adjoining buildings to expand the store. The famous white with timber cladding building that is loved today was only meant to be a temporary shop while renovations were taking place at the other buildings in the 1920s. The wood used was taken from two old ships, the HMS Impregnable and HMS Hindustan. 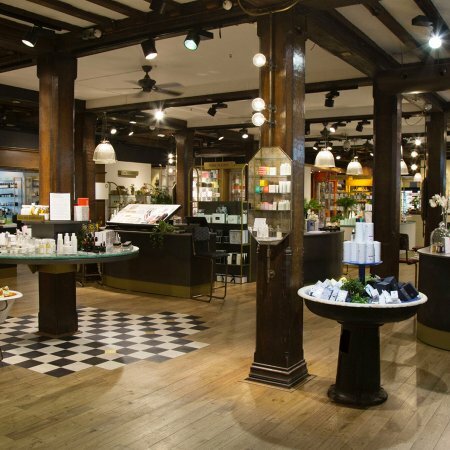 The department store is still famous for its unusual homewares, sourced from the four corners of the globe, but today it blends them with contemporary fashion, jewellery, beauty, stationery, haberdashery and gifts. 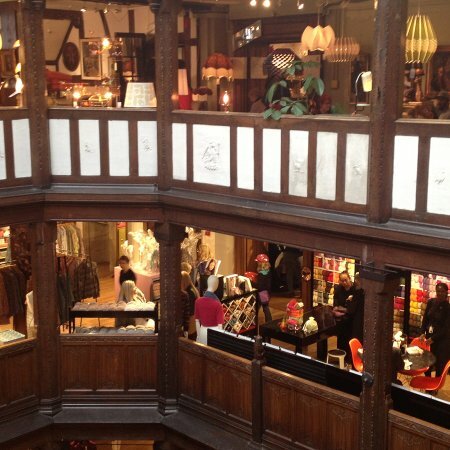 Its quaint wooden lifts and divided rooms that centre around the antique stairwell make it one of the most unique shopping experiences in the capital. Liberty print fabric is still available to buy by the metre for those handy with a sewing machine, but regular collaborations between the rich archive of Art Nouveau fabrics and cool brands including Nike, Converse, Marc by Marc Jacobs, Kenzo, and Dr Martens, have revived their position as a design icon. 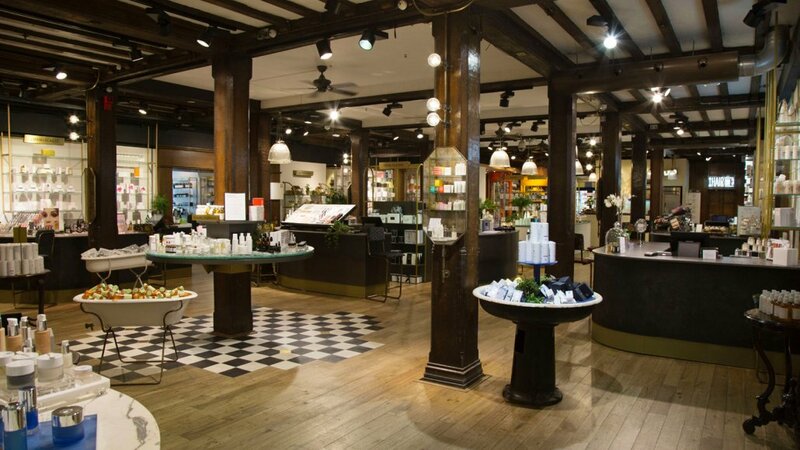 A café serving light meals on mismatching china, numerous beauty treatment rooms, a traditional barber offering wet shaves, a luxury florist, a vintage boutique, and an upmarket piercing studio add to the eclectic mix of discoveries inside Liberty London. Always priding itself on un-stuffy, accessible luxury, you can even email your fashion questions direct to the Women’s Fashion Sales Executive for personalised tips and advice to your inbox. 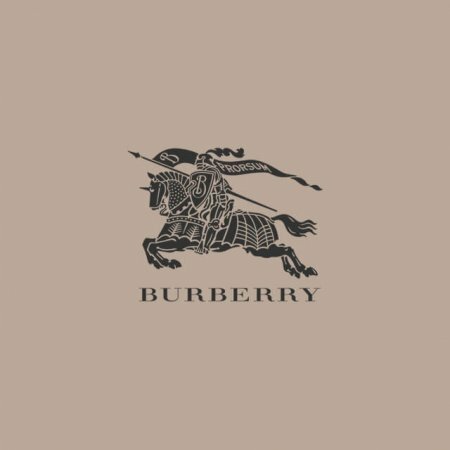 Monogramming for your Liberty print accessories and a private shopping service are also available. Though the main entrance to Liberty is found on Great Marlborough Street, the quirky department store’s address is Regent Street and it is a landmark of the area. 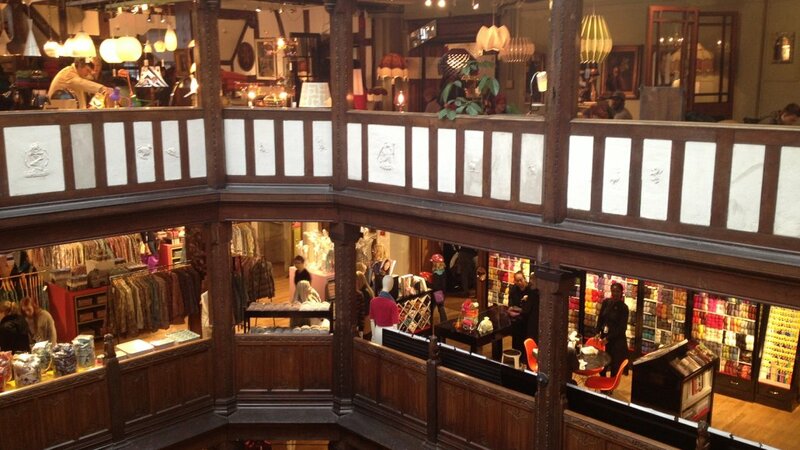 World-famous for its original prints and its mock-Tudor store front, it is a must-visit for tourists.